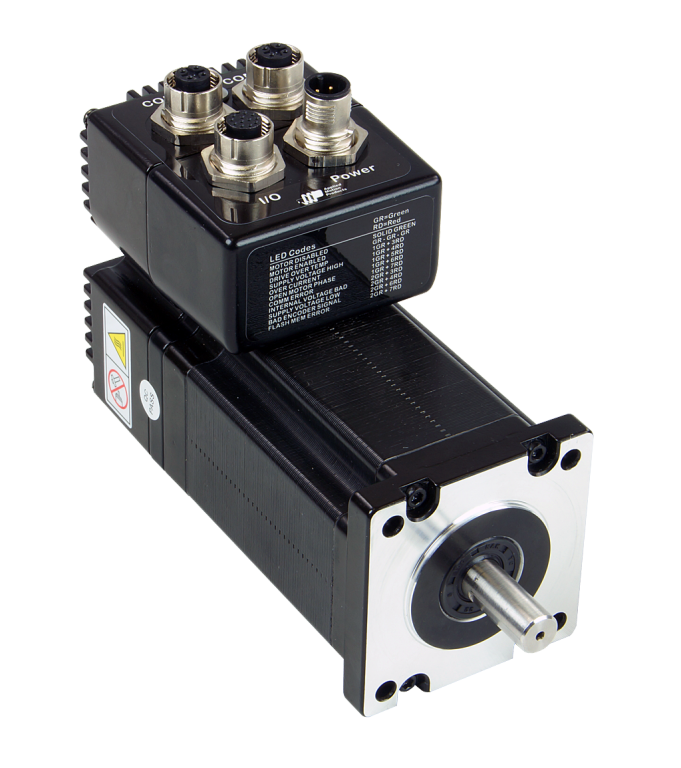 The TXM24C-3CG integrated StepSERVO™ is a drive+motor unit, fusing a NEMA 24 step motor and a servo drive into a single device. Power to the drive, located at the rear of the motor, must be supplied by an external DC supply. See Related and Recommended Products below for compatible 24 and 48 volt DC power supplies. 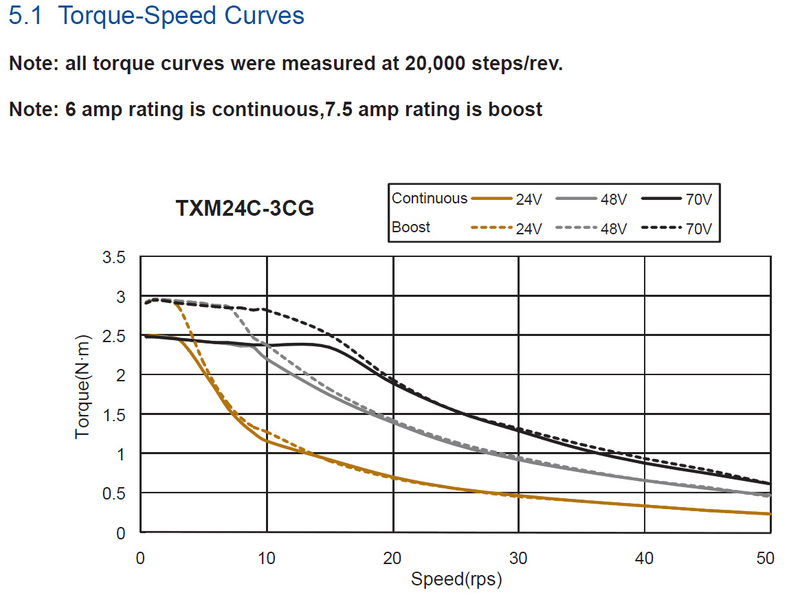 The TXM24C-3CG integrated StepSERVO motor features support for the CANopen protocol, along with Q programmability for distributed control within the network. Supported CiA specifications 301 and 402 provide major functionality for operation within a CAN network. Supported modes include Profile Position, Profile Velocity, and Homing modes, as well as the ability to run stored Q programs via Applied Motion-specific CANopen objects. Q programs are created using Applied Motion’s Q Programmer™ software, which provides powerful commands for motion, I/O, conditional processing, multi-tasking, math functions, and more. All TXM24 units are setup, configured and tuned using Applied Motion’s Step-Servo Quick Tuner software with built in Q Programmer. The TXM24C-3CG comes with a combined RS-232/CAN port for programming and communications. An additional CAN port allows for easy daisy chaining of multiple integrated motors.